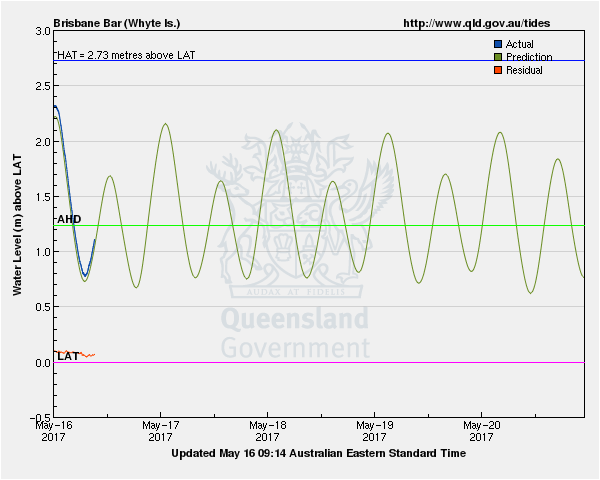 Tide predictions for Brisbane Bar for all of 2016. 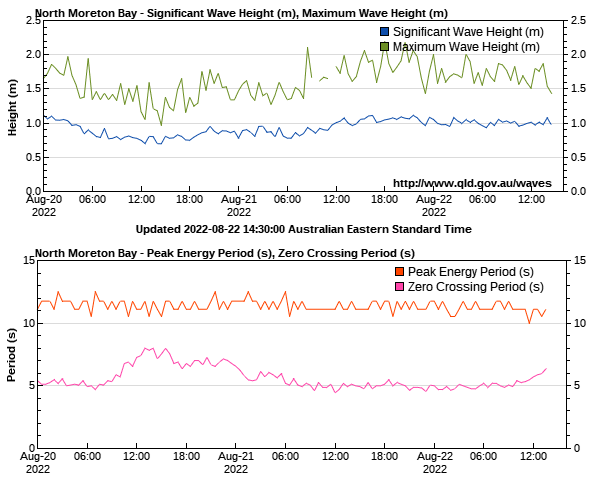 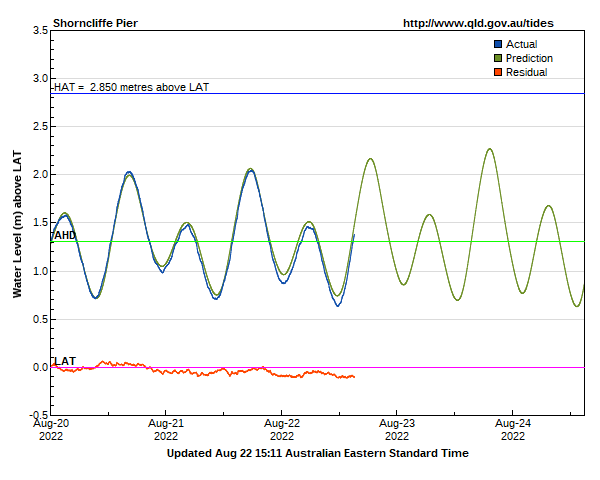 Brisbane Bar tide levels now with the tide predictions for the next two days. 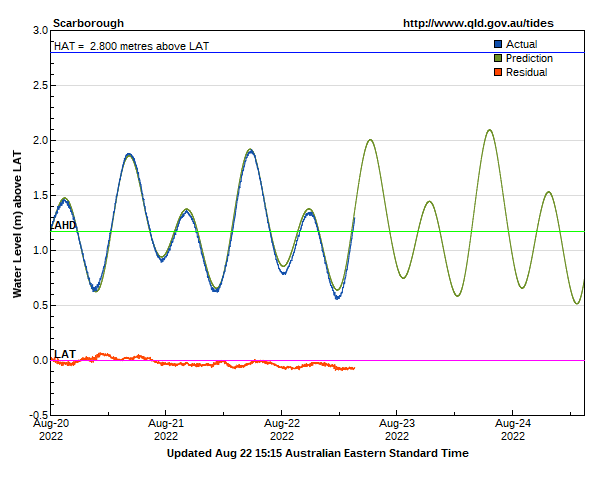 Scarborough Boat Harbour tide levels now with the tide predictions for the next two days.